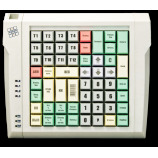 Programmable keyboard with Cherry modules LPOS-064 designed for use in intensive input of information systems (for stores). 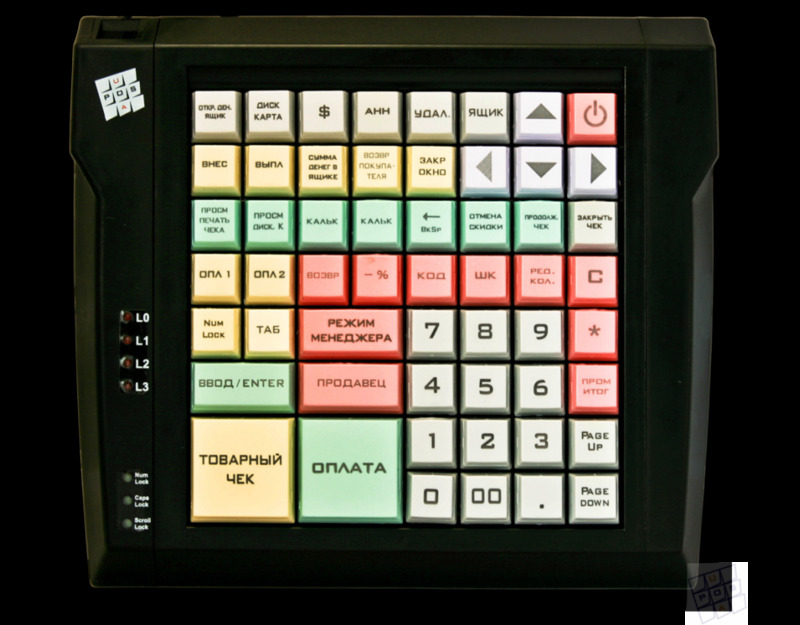 Increased resource of positives of fullmechanic contact modules Cherry MX makes the device unfailing throughout the life of the product. 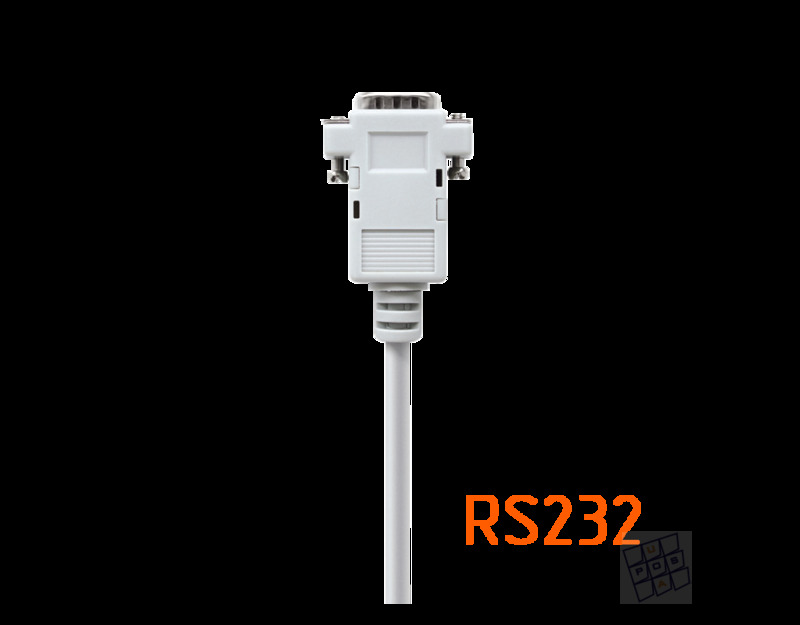 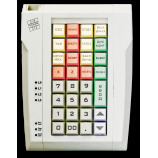 You can choose the most required option set: interface (PS/2, USB, RS232, RS485), magnetic card reader (2 or 3 magnetic stripe readers) and type of access (electro-mechanical key, i-Button touch key or fingerprint). 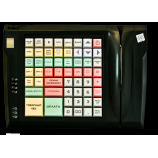 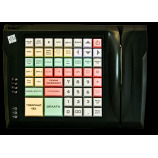 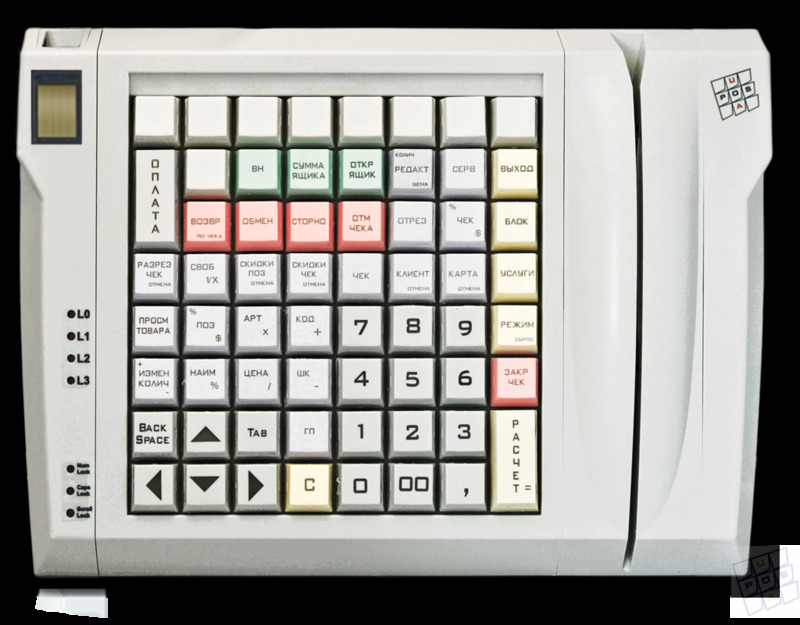 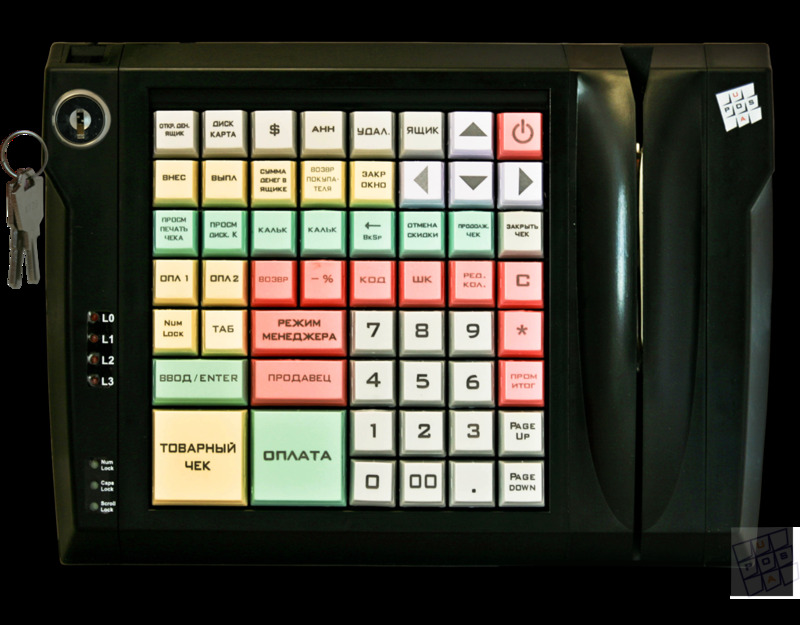 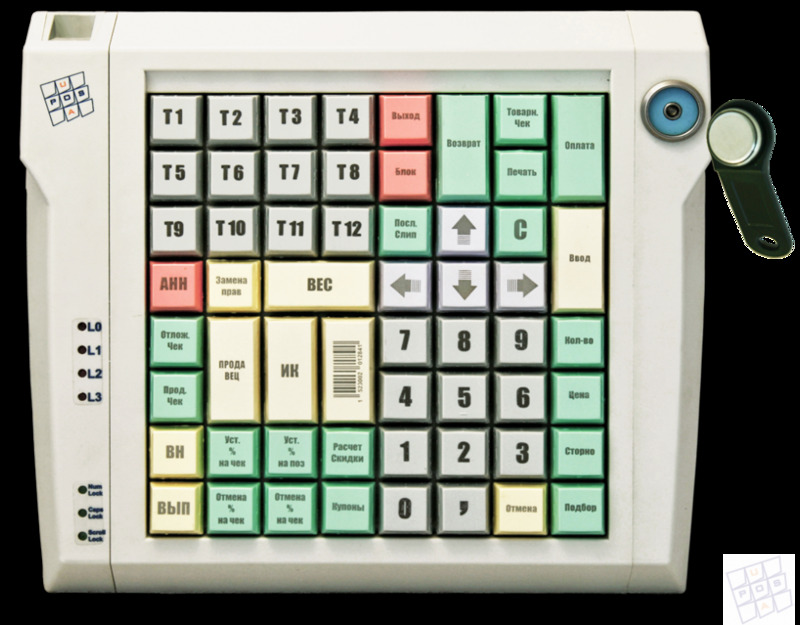 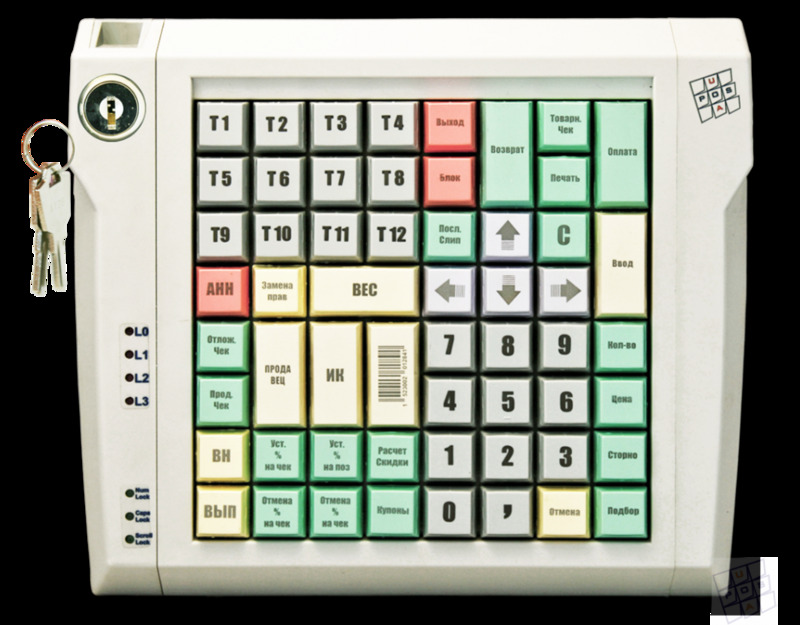 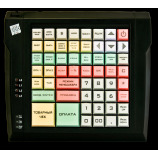 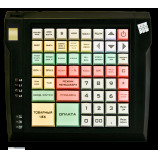 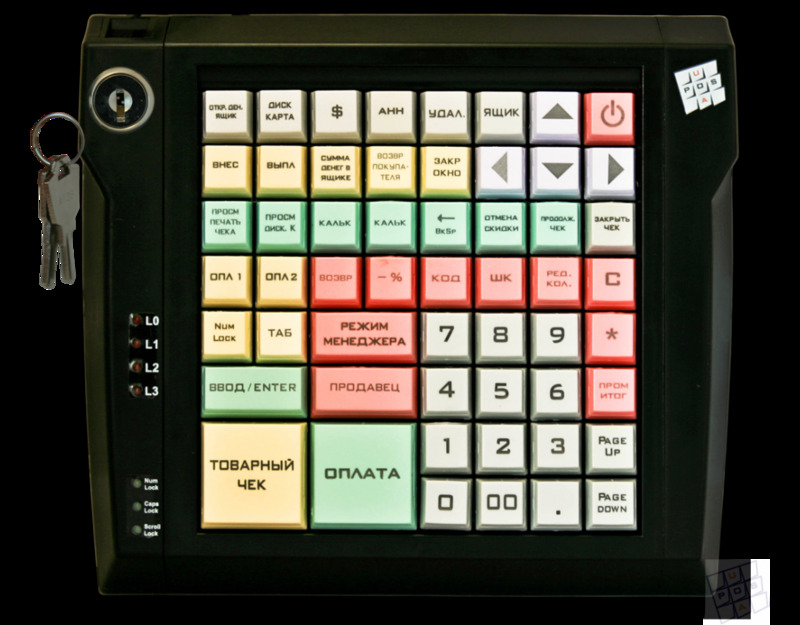 Housing сolor of all programmable keyboards LPOS-064 can be grey or black. 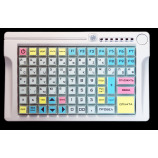 On the keyboard can be printed any company logo. 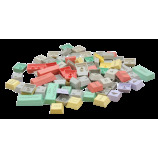 Standard delivery includes a set of grey or black lids and a set of transparent caps. 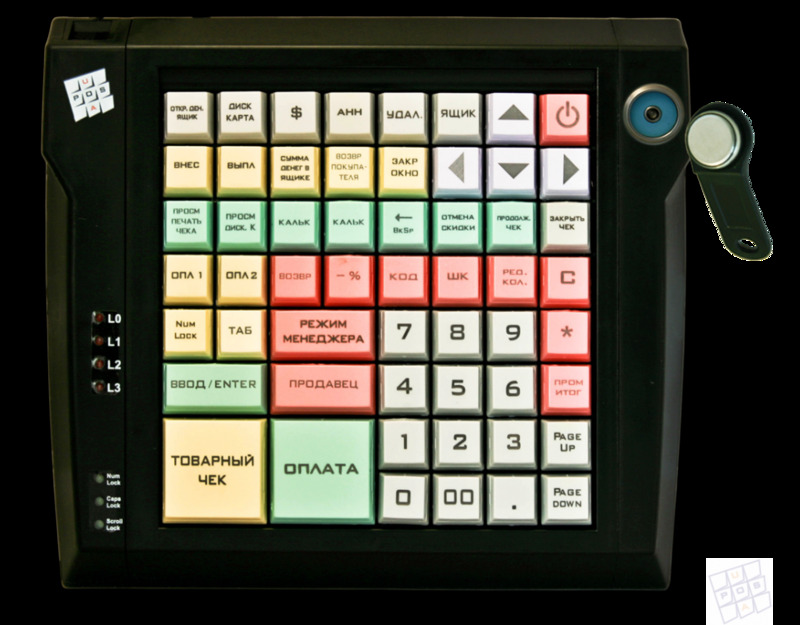 Colored caps and lids with a laser engraving are available for instalments of 50 keyboards LPOS-064 with prior approval of the layout. 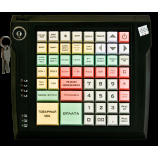 To order laser-graved keys, go down to the accessories for keyboard LPOS-064. 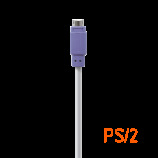 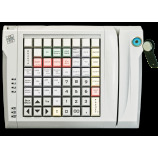 lpos2-ps2-064-elm2-id742-v145 Firmware update for keyboard LPOS-064-ELM-PS2 (64 keyswitches + electromechanical key, interface PS/2, model id 742, ver. 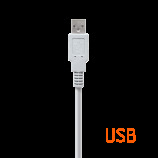 1.45 - 16 Aug 2017). 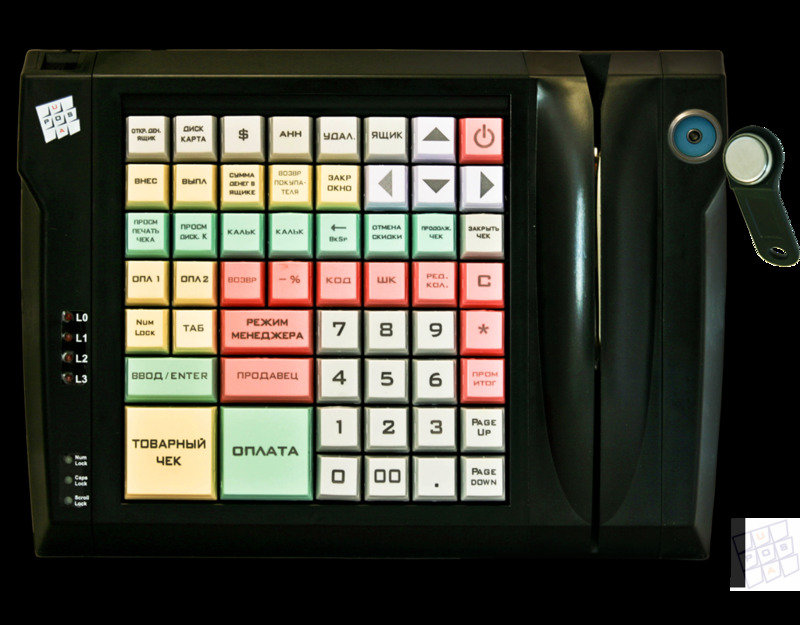 ELM2 is version where each turn of key send programmed string (see MPOS-Master user manual). 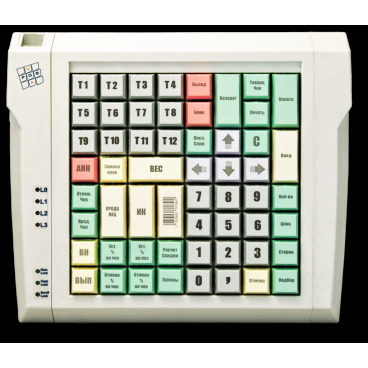 lpos2-ps2-064-elm1-id742-v145 Firmware update for keyboard LPOS-064-ELM-PS2 (64 keyswitches + electromechanical key, interface PS/2, model id 742, ver. 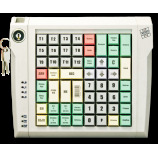 1.45 - 16 Aug 2017). ELM1 is version where each position of key choose different layer of layout. 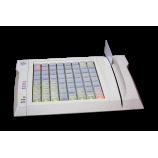 Our LPOS-keyboard series was developed to be used for intensive data input. 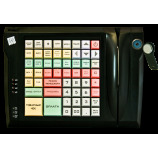 POS-keyboards LPOS-064 are great solution for automation processes in self-service stores and retail-stores. 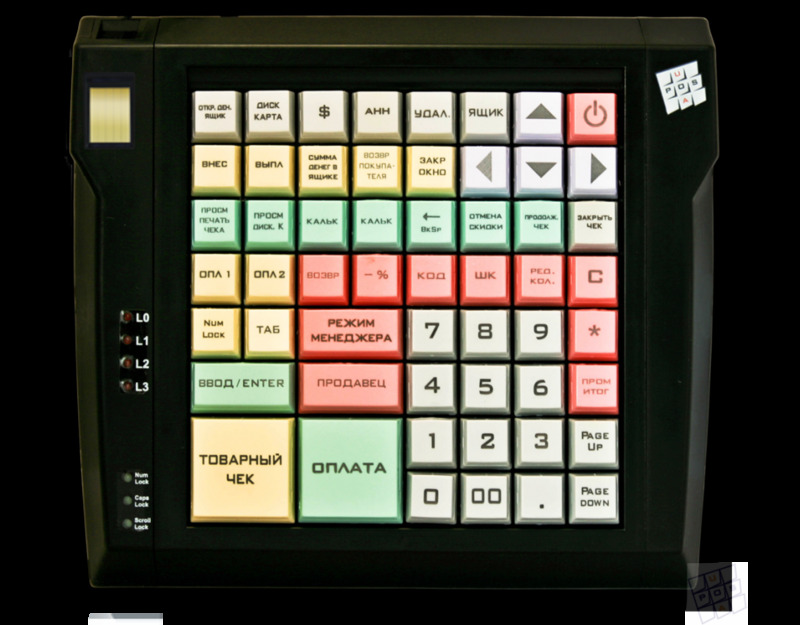 That is why POS-keyboards fairly are used in 'help-yourself' shops, groceries, appliance shops, clothing stores, building material stores, jewelries and so on. 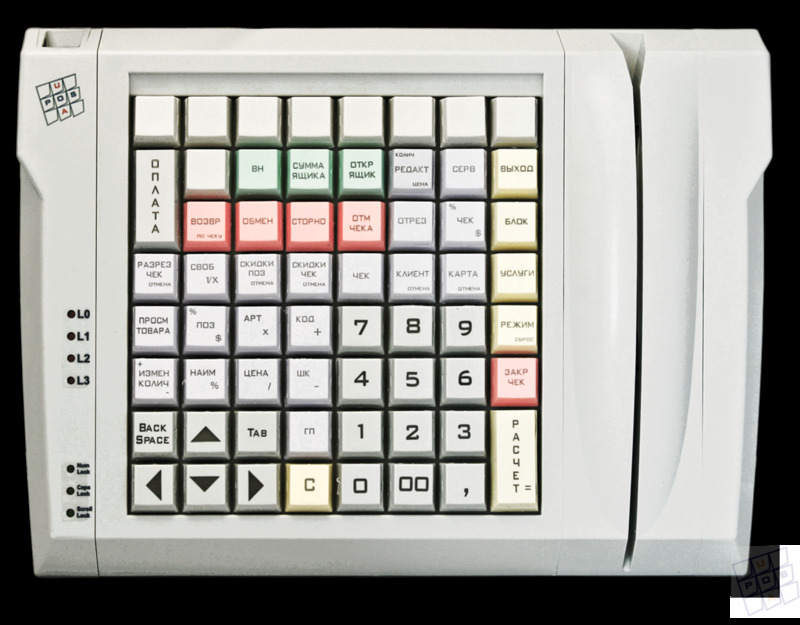 Programmable POS-keyboards could be used not only with commerce operations but also with service desks like hotels, gaming halls, restaurants etc. 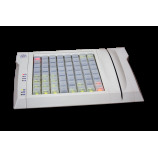 Modern design along with reliability and rich functionality make LPOS-keyboards handy and usable. 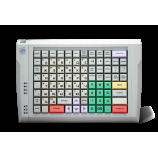 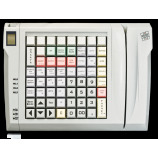 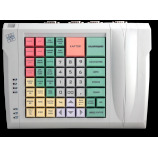 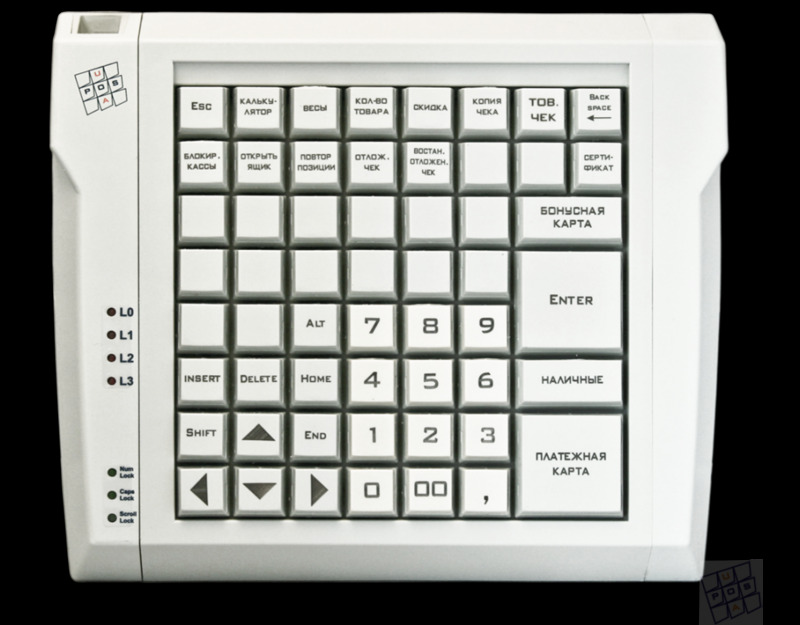 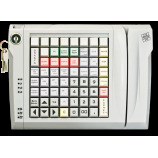 Keyboards LPOS-064 can be programmed (configured) in all operating systems family Windows: 32- bit and 64-bit. 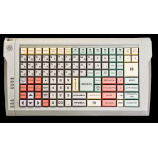 Keyboard for OS Windows is programmed using a generic driver. 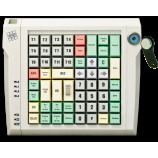 Keyboard configuration program is very simple, intuitive and easy in use. 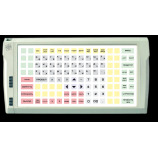 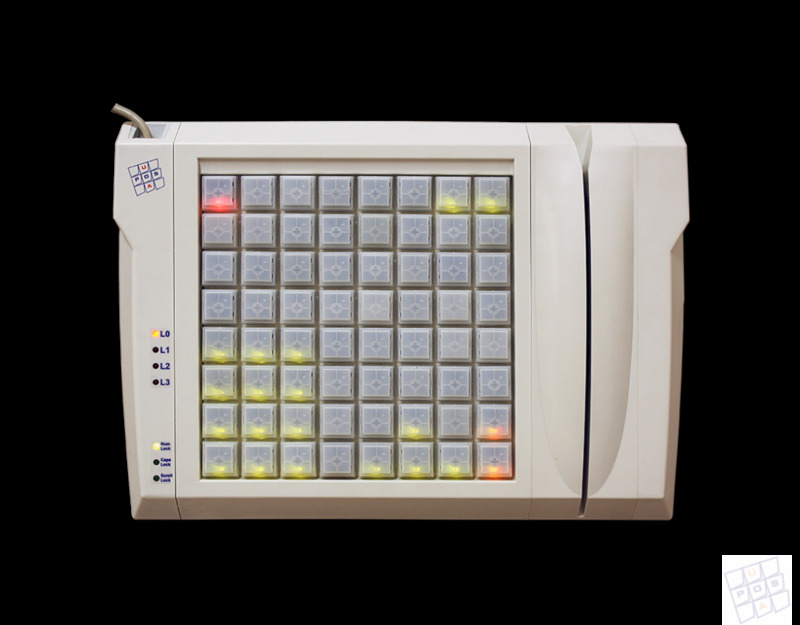 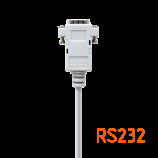 It speeds up the process of configuring and relieves unnecessary routine operations. 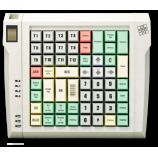 Serial configuration of the keyboard (layout load) takes less than a minute. 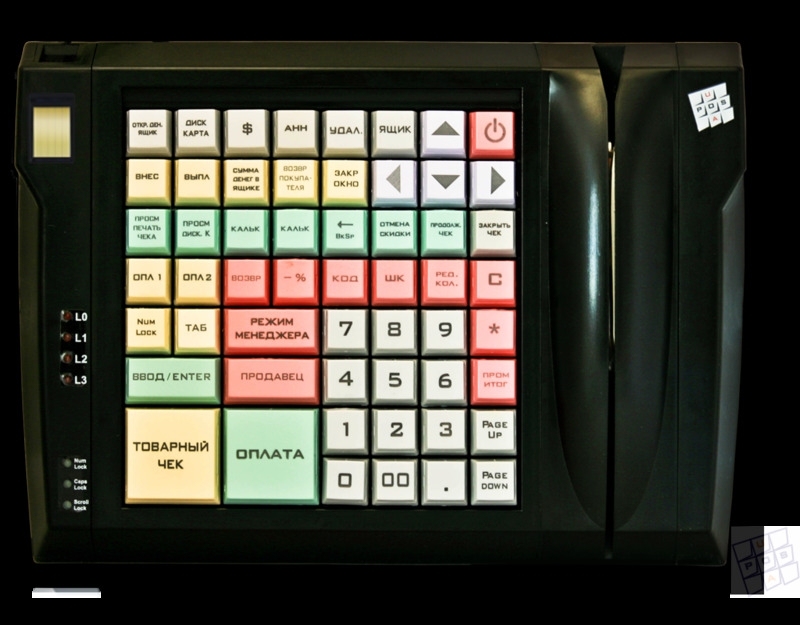 Loading keyboard layout occurs in one click: connect a keyboard > press the button "DOWNLOAD" > layout is loaded. We simplified electric circuit of our LPOS-keyboard and balanced it's net cost. 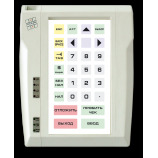 All components are installed on quality double-sided glass-fibre plastic of the FR-4 grade. 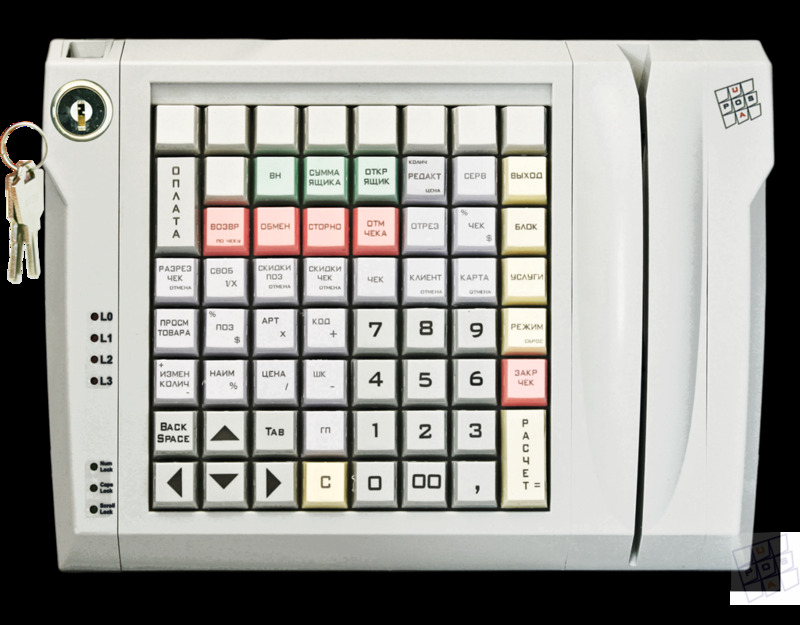 Internal memory to store keyboard layouts is at least 8 KB. 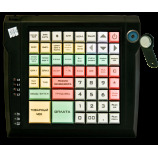 We achieved high performance level of our POS keyboards AW-064 with using the Cherry MX1A cross gold contacts (Germany). 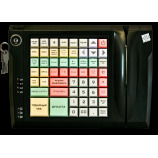 Operating life of individual key is at least 50 million operations. 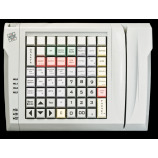 - as a keyboard remote control systems, intercom and phone system. 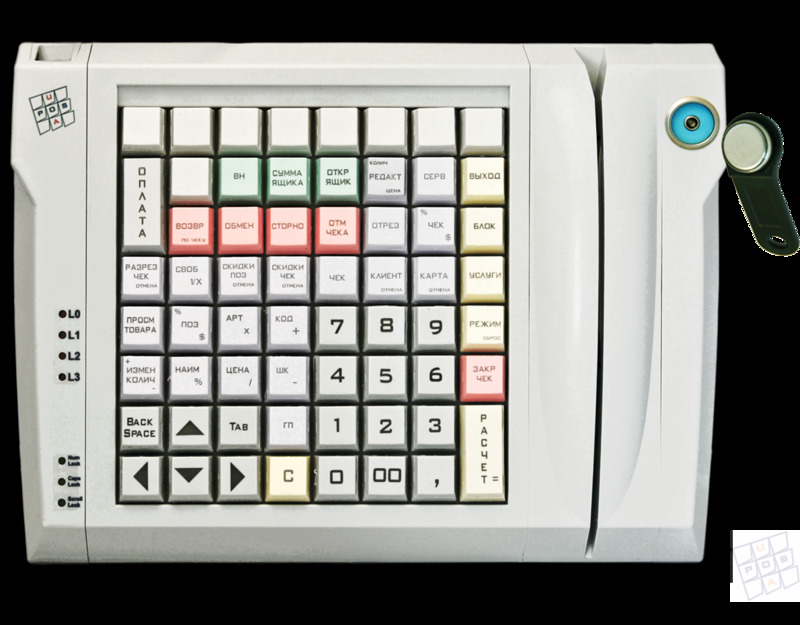 The keyboard consists of 64 highly keys Cherry, each of which integrated two-color LED. 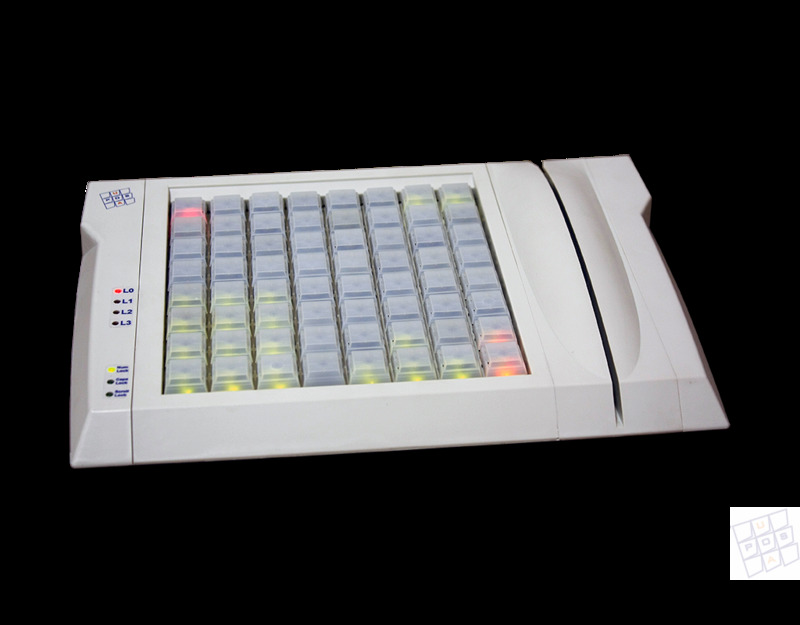 LED control (set / read state) is performed through an interface and does not depend on the state of the keys. 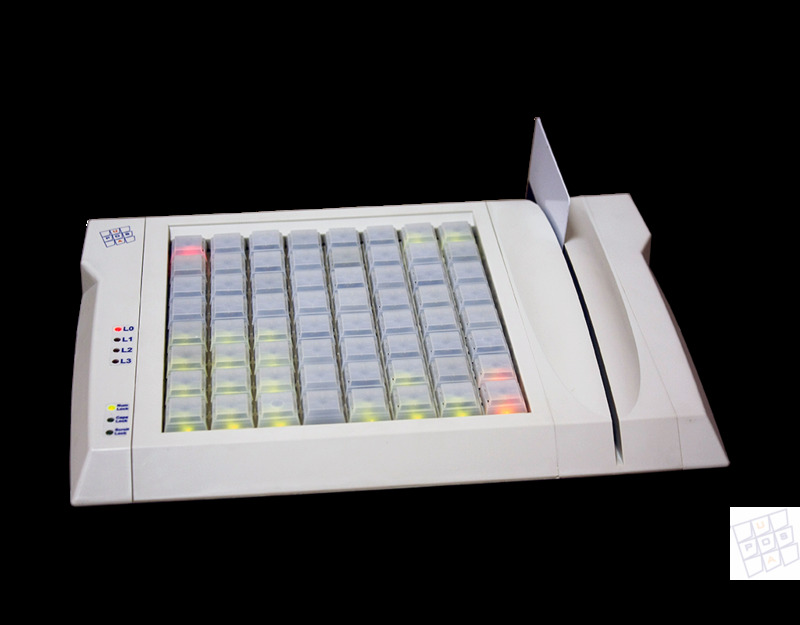 The keyboard allows the installation of LEDs in 15 different states (steady burning one or another color, blinking, blinking rapidly, with the change of color, etc.). 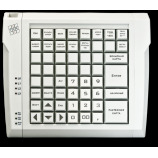 The keyboard is also possible to connect an external closing devices, as the 65th key. 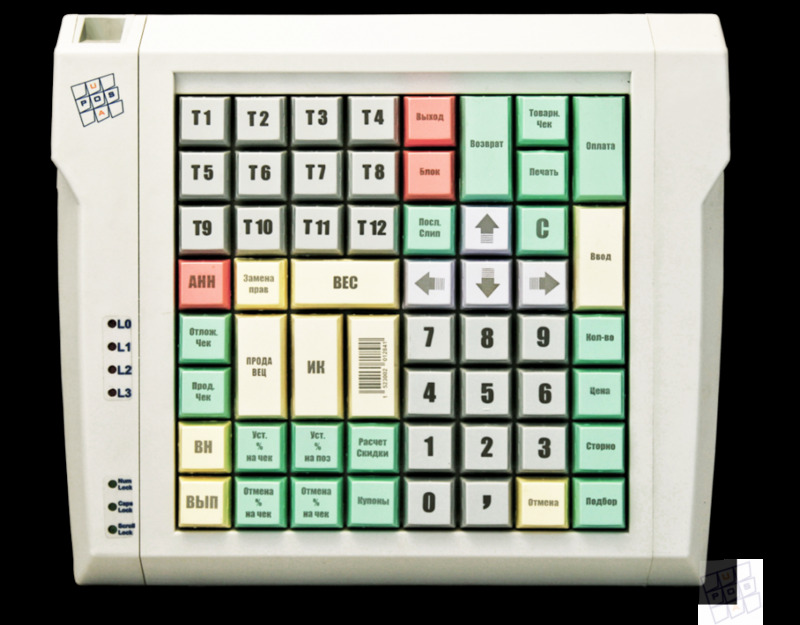 Keyboard work on multiuser optical unleashed interface RS485, which allows an organization with 31 bus device. 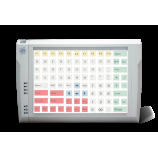 Exchange with the device is made at a speed of 38400, 8 data bits, 1 stop bit, no parity. 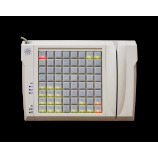 - Nutrition keyboard: 5V 1A by an external pulsed power supply. 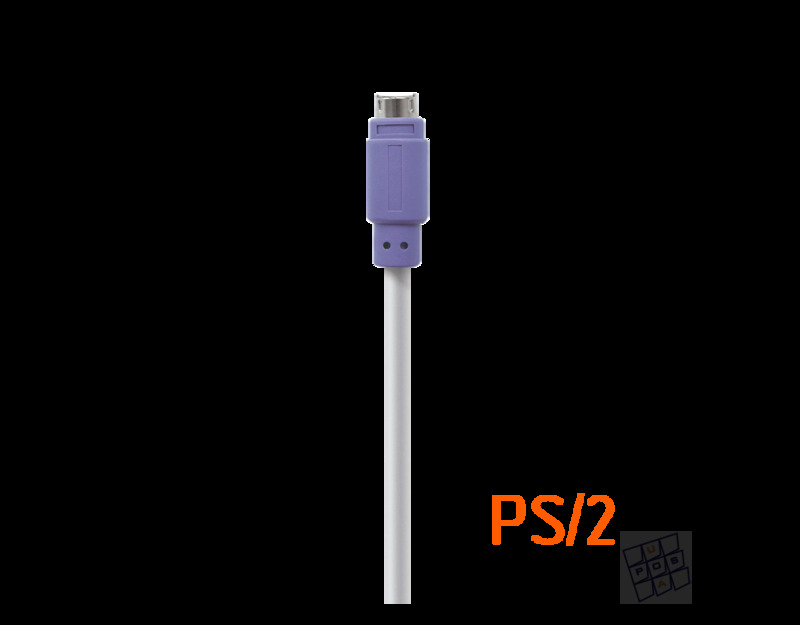 - Number of levels Pickup – 4. 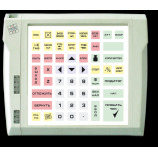 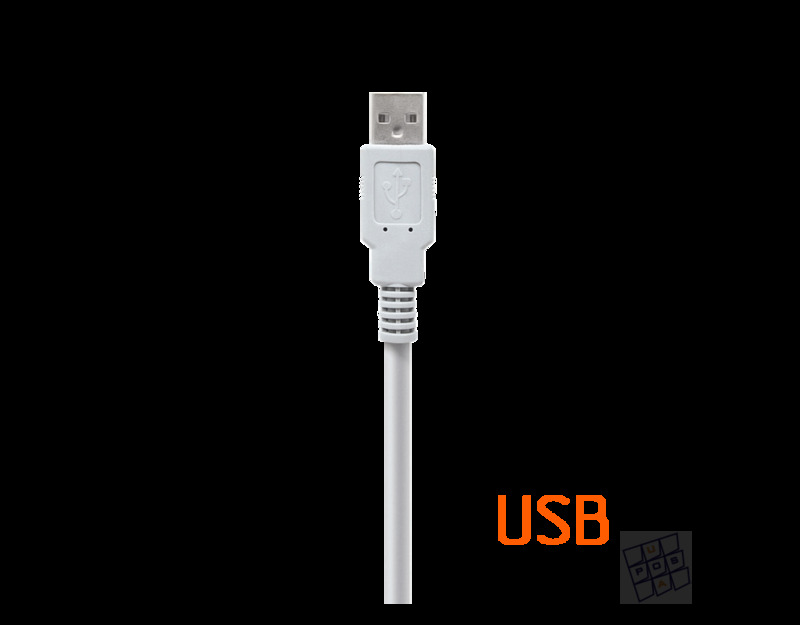 - Ability to connect an external button (pedal) to the optically separated inputs.